Like other processed carbohydrate - Most grains, bread, and baked goods - are used to pack pasta on pounds when pasta is considered problem-rich food. In fact, pasta has been blamed for contributing to the obesity epidemic in recent decades, despite the fact that it is a staple food in many countries. If you are a lover of pasta, you are probably thinking: is pasta healthy or unhealthy? Recently, a meta-analysis has been demanded to answer this question. And the conclusions from the analysis have been amazing and surprising for many people - especially those who have achieved great success after a low carb diet, such as ketogenic diet or paleo diet. 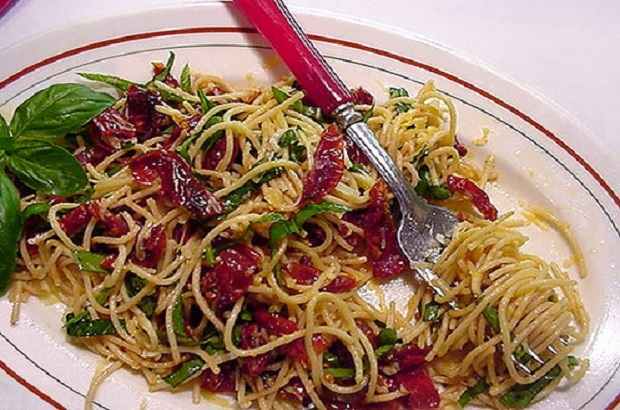 Pasta is one of the most popular and favorite foods for most people. This is due to the delicious taste, and the ease of preparation. It can be prepared in a number of ways such as pasta chicken, pasta with milk, pasta with vegetables and others, but at the same time, it is a diet rich in calories, where the dieters cannot eat constantly. Pasta is traditionally made of hard wheat, water or eggs, and is made in different forms of pasta and then cooked in boiling water. At present most of the products sold as pasta are made from ordinary wheat; however, similar noodles can be made from other grains such as rice and barley or buckwheat. Some types of pasta are refined during processing, stripping wheat germ from bran and germ, removing many nutrients, and sometimes some nutrients are added, such as vitamin B and iron, and other supplements. Whole grain pasta is also available in the market, containing all kernel parts of wheat. Most people prefer refined pasta, which means that the kernel of wheat is separated from germs and bran with many nutrients contained in pasta, refined pasta is higher in calories and less fiber, this may reduce the feeling of fullness after ingestion compared to eating high-fiber noodles and whole grains. In a study, it is found that whole grain pasta reduced appetite and increased the feeling of fullness more than refined pasta. However, other studies found mixed results with regard to the benefits of whole pasta. A study of 16 participants found that there was no difference in blood sugar levels after eating whole-wheat pasta or refined pasta. However, many studies have found that eating a lot of refined carbohydrates may have negative health effects. For example, a study of 117,366 people found that eating large amounts of carbohydrates, especially from refined grains, is associated with an increased risk of heart disease. Another study of 2,042 people found that the consumption of higher purified grains was associated with increased blood pressure, blood sugar, waist circumference, triglycerides, LDL, and insulin resistance. However, more studies were needed specifically on the health effects of purified pasta. The whole wheat pasta is rich in fiber, manganese, selenium, copper, and phosphorus, while refined pasta tends to be higher in iron and vitamin B. Whole wheat pasta is also lower in calories and higher in fiber and some micronutrients than refined pasta. Fibers get out of the digestive tract and help to increase perfection. For this reason, whole wheat pasta may be more effective than refined pasta in reducing appetite and craving to eat. Pasta is rich in carbohydrates; one cup of cooked pasta contains (37-43) grams of carbohydrates, depending on whether the pasta is refined or whole grains. Carbohydrates are quickly converted to glucose in the bloodstream leading to a sharp rise in blood sugar; especially refined pasta is rich in carbohydrates and less in fiber than whole grain pasta. Diabetes: Some studies have shown that high-carbohydrate diets may be associated with an increased risk of diabetes. Metabolic syndrome: One study found that those who ate a large number of carbohydrates from starchy foods were more than twice as likely to develop metabolic syndrome and a range of critical conditions that may increase the risk of heart disease. Obesity: Another study found that eating foods that have a higher glycemic index (a measure of the speed of foods in increasing blood sugar), foods were linked to increased body weight. Gluten is a type of protein that is generally found in barley, wheat, and rye. For most people, gluten is tolerant and does not cause any problems. However, for those who have gastrointestinal disease, eating gluten-containing foods can trigger an immune response and cause damage to small intestinal cells. Some people may be allergic to gluten and may have gastrointestinal problems or celiac diseases due to ingestion of gluten-containing foods. These people should avoid eating pasta made from wheat to prevent negative symptoms. Instead, they can choose whole-grain gluten-free foods such as brown rice or quinoa, and for those who do not suffer from gastrointestinal disease or gluten intolerance, they can take gluten present safely in pasta without problems. Is whole wheat pasta the best choice? Whole grains are made entirely from wheat kernel. As a result, they are higher in fiber, vitamins, and minerals than purified grains containing only endosperm or seed sebum grown from wheat kernel. However, while there is little difference in the effects of whole-grain pasta and refined pasta on health, whole grain pasta may be a better option if you are looking for weight loss, which is lower in calories and higher in fiber that enhance satiety from refined pasta and whole grain pasta contains more than most of the fine nutrients, as well as B vitamins, which are added back to the pasta purified during treatment. When pasta is eaten moderately, pasta can be part of a healthy diet. Whole-grain pasta may be a better option for many people because it is lower in calories and carbohydrates but higher in fiber and nutrients. Calories can accumulate quickly when adding high-fat layer calories such as cream-based sauces, cheese, and if you are watching your weight, look for a healthy olive oil spray. Some fresh herbs or a few of your favorite vegetables are not so addictive, You can also add your choice of protein to pasta into a balanced diet. For example, you can add fish and chicken as some additional protein to feel full and satisfied, while broccoli, tomatoes can provide nutrients and extra fiber. * Whole wheat pasta with salmon, lemon and basil. 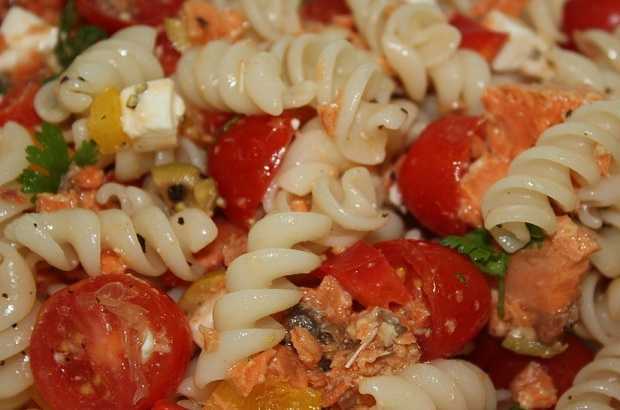 * Pasta salad with feta, olives, tomatoes, and cabbage. * Pasta with spinach sauce, avocado, and chicken. 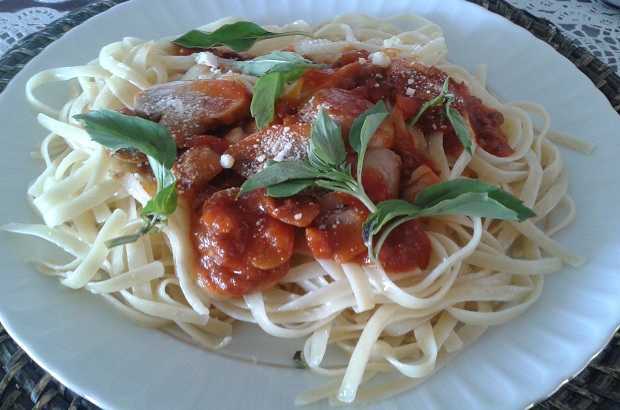 Pasta is a major food all over the world and contains some important nutrients. However, pasta is rich in carbohydrates. A carbohydrate-rich diet can raise blood sugar levels and have some negative effects on health. For this reason, it is important to keep the size of the meals and to choose healthy additions to pasta such as vegetables, healthy fats, and protein. In the end, moderation is the key when it comes to pasta. Although you enjoy them sometimes, it is important to combine them with other nutritious foods and make sure they are just one component of a comprehensive healthy diet.